Pinterest has avoided the pitfalls of other social-bookmarking sites, and is well on its way to developing a solid business model, with the possibility of a promising IPO. By definition, Pinterest is still a startup — a very healthy startup valued at $5 billion, according to ReadWrite. Indeed, the visual search engine has shown consistent growth, and now it’s time to validate its ad-based business model. Such validation shouldn’t be difficult. Pinterest has already proven itself a powerful driver of retail traffic, both in volume and in average order value. 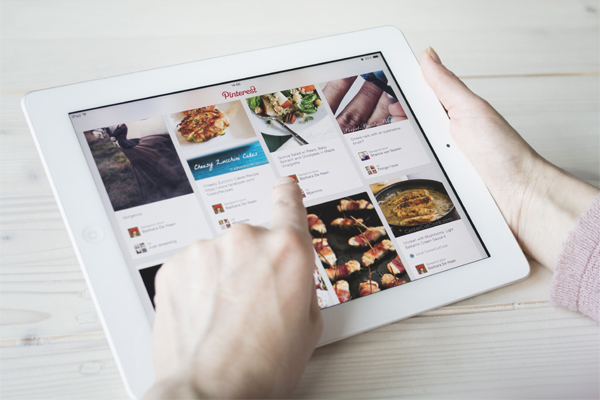 According to analysts, the visual nature of Pinterest is part of what makes it engaging and retail driven. In fact, it’s the well-organized and rich visual content that enable the site to thrive. And now, according to New York, Pinterest is sneaking up on the big boys. While the media doesn’t give the network much respect, says contributor Kevin Roose, Pinterest is eating its competitors alive. He also points out that Pinterest’s design and user base is about as perfect as any social network can get for marketing and sales conversion. Imagine for a second that you’re a Fortune 500 marketing executive trying to dream up the perfect social network for selling stuff to people. Ideally, you’d want that social network to be filled with women between the ages of 19 to 39 (since women make an estimated 85 percent of all consumer purchases, and since 19- to 39-year-olds comprise the fastest-growing consumer segment in America). You’d want the network to make it incredibly easy for its users to buy your products, with just one or two clicks. You’d want it to be image-centric and search-friendly. And, crucially, you’d want that social network to put people in a buying mood. You’d want it to be the place where people plan their weddings, pick out furniture for their homes, discover recipes for dinner parties, and plan their outfits. You’d want it to feel less like a social network than an interactive catalog, where users can browse and buy your products, and share the ones they like with their friends. This perfect marketing machine you just designed already exists. It’s called Pinterest. Of course, the haters are gonna hate, but there’s no doubt that Pinterest has avoided the pitfalls of other social-bookmarking sites, and is well on its way to developing a solid business model with the possibility of a promising IPO.